The conference is an international platform for stakeholders from the private sector, the public sector, non-profit organisations and academia to come together to reflect, to discuss and to respond to the opportunities and challenges related to promoting ethics, governance and sustainability in African contexts. Inputs from and about the region, as well as contributions dealing with Africa’s position with respect to other world regions (especially as regards ethics, governance and sustainability initiatives and challenges in the energy sector) will be considered. Scholars and other experts from around the world are invited to submit industry and academic papers and posters that address the theme of Ethics & Energy (please see below for suggested sub-themes). However, any papers dealing with business or organisational ethics in Africa will be considered. The conference language is English. The abstract of the papers and posters will be reviewed for relevance and rigour. Abstract submissions should be sent electronically to Schalk Engelbrecht (schalk.engelbrecht@kpmg.co.za). August 4, 2017: Deadline for abstract submissions (500-1,500 words) and for full papers for potential publication in the special conference edition of the African Journal of Business Ethics*. *Please note that abstract submissions are adequate if you only intend on presenting at the conference. If, however, you are interested in publishing your paper in the special edition of the African Journal of Business Ethics, the above deadlines for paper submissions must please be adhered to. The conference theme is Ethics & Energy. Any paper that addresses the conference theme, or the wider theme of business ethics in Africa, will be considered. Energy-related trade-offs between sustainability and development. Applying King IV in the energy sector. Implications of regulatory compliance for the energy sector. Exploring the sustainability agenda: challenges and opportunities for developing African contexts. Measuring operational effects on the environment and the communities against a focus on ROI. The link between governance, ethics and environmental sustainability in the oil, gas and petroleum industry; and the mining and minerals industry. Transparency in the reporting on social and ethics performance. The state of integrated reporting in the energy sector. Combatting corruption in the energy sector. Developments in business ethics teaching and practice. Defining the business ethics agenda for Africa: Contextual challenges and opportunities. 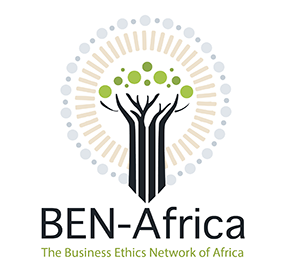 Towards an African business ethics: applying indigenous institutional models, cultural norms, and Ubuntu values to business ethics. Managing ethics in African companies and organisations.